Winning at the Moment of Choice. Connecting with Shoppers in an Evolving Retail Landscape. 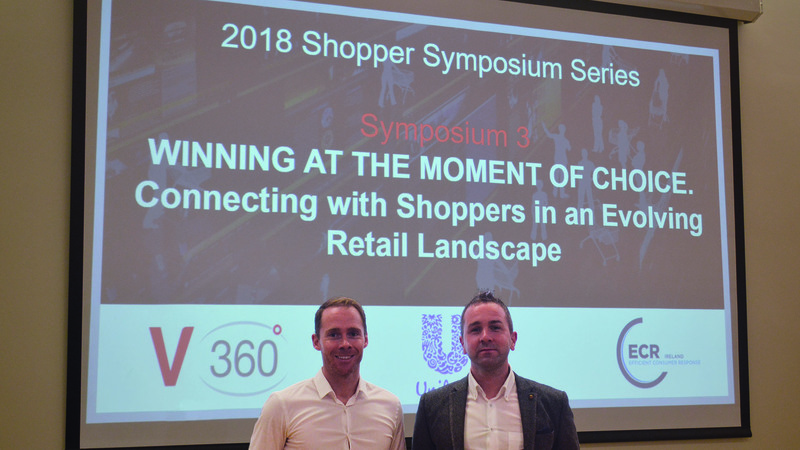 Presentations on the morning were from Eoghan Phelan, joint MD at V360° and Daniel Ryan, eCommerce & New Revenue Streams Manager at Unilever Ireland. 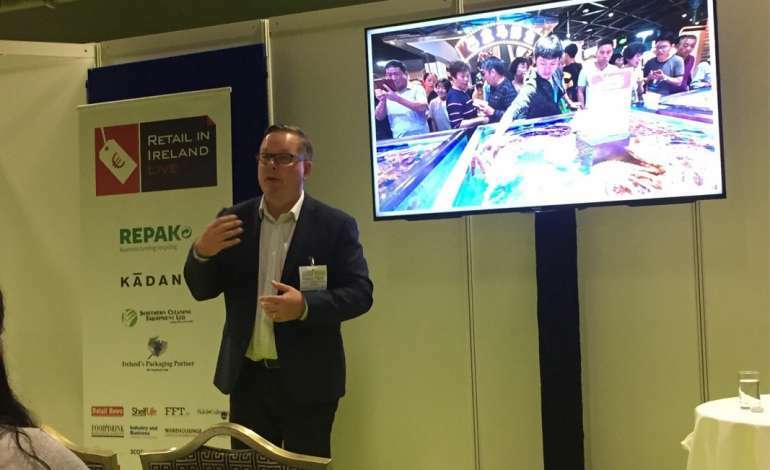 Eoghan’s talk focused on our inherent human behavioural biases that influence how we shop; outlining the role that effective shopper creative can play in nudging shoppers at the moment of choice. 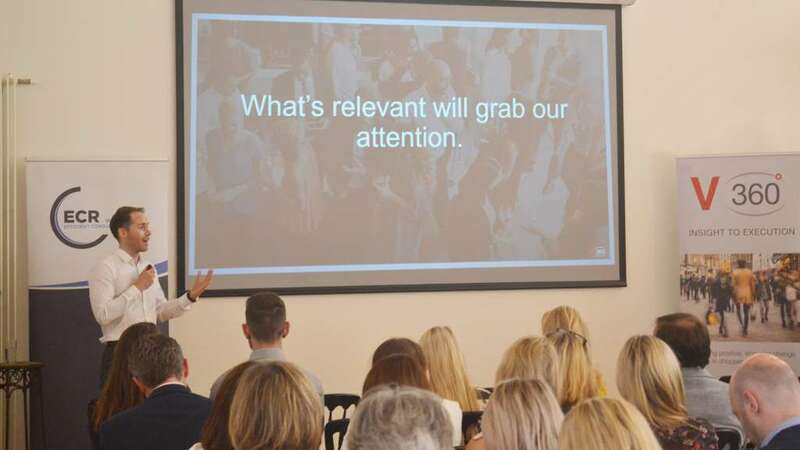 Daniel’s talk explored the disruption of retail channels and how technology is acting as an enabler; outlining why brands must have a purpose in an era of changing consumer motivations and shopper missions. In order to understand shopper behaviour, and how to effectively engage shoppers across retail channels, new and old, it’s important to understand how human evolution has influenced our day-to-day lives and how we shop. Our brain’s evolution has led to it operating in two vastly different modes as we go about our day-to-day lives. These modes were popularised by the Nobel prize-winning psychologist, Daniel Kahneman, as System 1 and System 2. System 1 processing is fast, unconscious, automatic, irrational and often unreliable. It is within System 1 that we find heuristics and biases such as rules of thumb, stereotypes and associations. System 2, on the other hand, is slower, conscious, effortful, rational processing. While we may think that we engage in System 2 processing most of the time, cognitive neuroscientists have estimated that only about 5-10% of our cognitive activities are conscious, with the remaining 90%+ unconscious. Framing – How people react to a particular choice, depending on how it is presented or framed. Anchoring – Where initial exposure to some information, often a number, serves as a reference point and influences subsequent judgements. Priming – The psychological effect caused by the exposure to a stimulus that influences your response to a subsequent stimulus. Shoppers spend much of their time scanning the environment with their peripheral vision, often at great speed. This behaviour creates many challenges when communicating to shoppers. Humans are not adept at reading with our peripheral vision, so messages must be clear and succinct. Imagery can often be more powerful than words and can be better at drawing shoppers’ attention. We are not hardwired to think in words and humans have been communicating in imagery for much longer. V360° have identified 4 key barriers or triggers, the 4 E’s, that most shopper challenges fall into. EXPERIENCE – Take the chore out of shopping. It’s important to consider shoppers’ mindset at each touchpoint on their decision journey and activate accordingly to best overcome these barriers or leverage these triggers, up to and including the moment of choice. There are many ways in which each of these principles can be activated with the most effective shopper creative activating all three principles. To discuss the STOP ENGAGE LAND principles further, feel free to get in touch with the team at V360°. Consumer interaction with brands and services has evolved with technology acting as an enabler. Consumption motivations are being impacted with consumers thinking globally and acting locally. Established industries are being disrupted. Irish shoppers are increasingly embracing online shopping and there is significant room for growth in the online grocery sector. The discounters are continuing their rise through further expansion and increasing shopper loyalty. G.O.D. 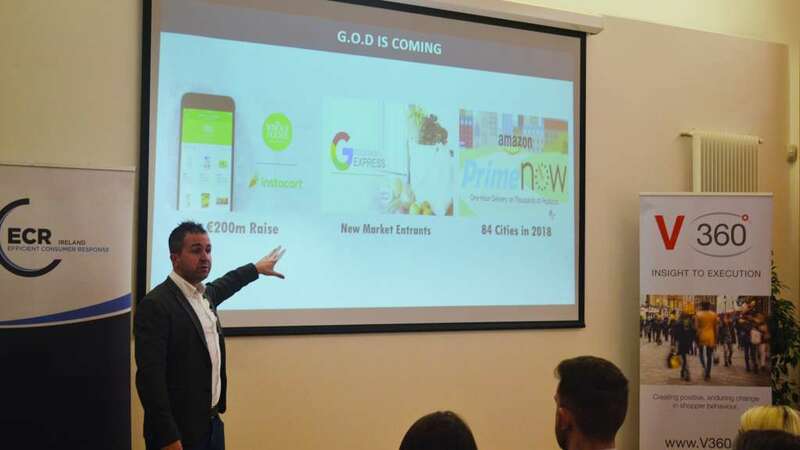 (Grocery on Demand) is coming with the likes of Amazon Prime Now in 84 cities in 2018 and new market entrants such as Google Express gathering momentum. Subscribe and Save offerings are also disrupting shopping and impacting a range of categories while reducing basket size in-store. Creating positive and memorable in-store experiences is becoming more important than ever for retailers as shoppers have more choice than ever before. What is required of organizations to flourish in the future? Unilever Ireland is embracing these implications of the changing landscape and putting emphasis on talent attraction and retention. The Unilever Foundry has increased collaboration, through a partnership with Dogpatch Labs, one of Ireland’s leading start-up hubs. 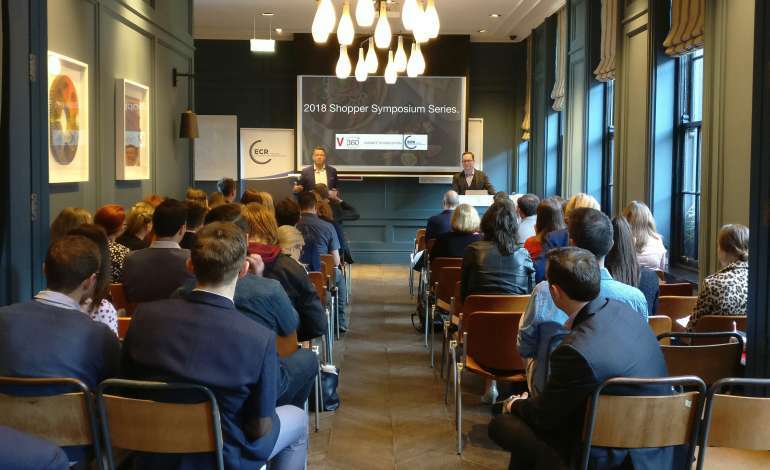 Evidence of this new emphasis on collaboration, and new way of thinking and acting in the business, is provided by their work with appliancesdelivered.ie, and their investment in Buymie, an Irish on-demand grocery delivery service.